This year, Valentine's day falls on a Wednesday and planning an out-of-town trip with your loved ones may not be the best option. One of the best ways to celebrate the love month is to go on a romantic staycation at a fancy hotel in the metro. Below are some of the packages available this February 14. Treat your loved one to a Valentine's Day Special Staycation in Sofitel Philippine Plaza available at PHP7,300+, inclusive of breakfast for two at Spiral. Make the day more special by ending it with a dinner by the bay. 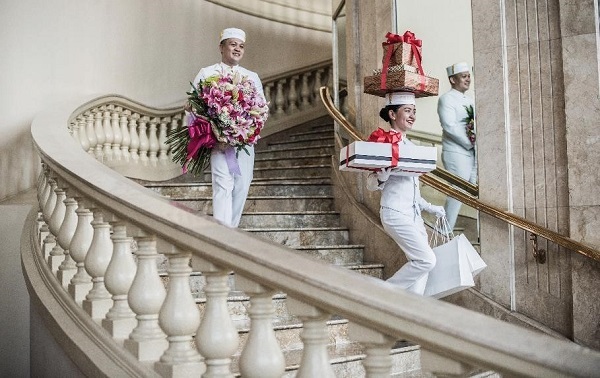 The hotel offers the Love by Design package for celebrating couples, which includes a four-course dinner menu, a bottle of Champagne, three roses, a box of pralines, and live performance by a violinist. This special dinner is available separately for PHP30,000. Nobu Hotel at City of Dreams offers two new accommodation packages and three spa packages for the love month of February. 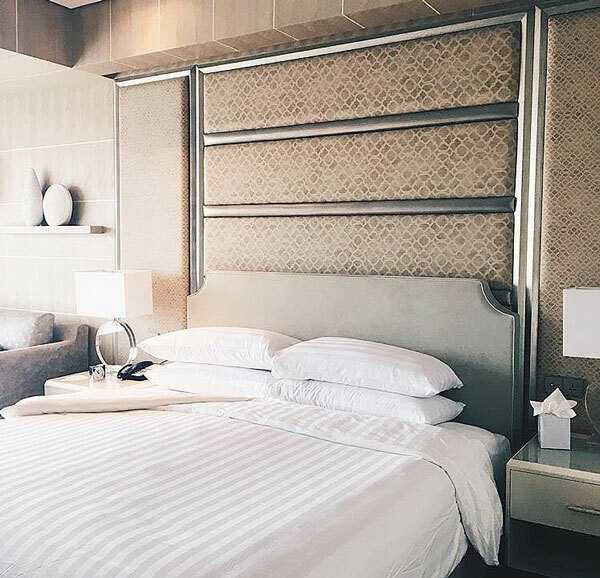 Couples who will avail of the Moments Made Perfect room package will enjoy a luxurious overnight stay in a Nobu deluxe room with buffet breakfast for two. The hotels guests will also get PHP5,000 dining credits that can be used for an intimate dinner in any City of Dreams Manila-operated restaurants. These include Nobu Manila, Crystal Dragon, The Tasting Room, Red Ginger, Jing Ting, and Café Society. This package is available for PHP12,888. On the other hand, those who want to have a relaxing staycation may opt for the Stay Well package. This comes with an overnight accommodation in a Nobu deluxe room, buffet breakfast for two, PHP3,000 dining credits, and a Valentine’s treat: a 60-minute renewal massage for two at the Nobu spa. The Stay Well room package is available for PHP14,888. The hotel’s Nobu Spa also presents a “Journey to Serenity,” offering a choice from three spa packages: Harmony, Couple’s Indulgence, and Nobu Sparty. These packages are priced at PHP5,398, PHP5,998, and PHP7,998, respectively. Aside from an overnight stay at the luxury hotel, guests can also enjoy a buffet breakfast for two at High Street Cafe or in-room dining. Deluxe rooms start at PHP13,500. The Solaire Resort & Casino in Pasay City presents A Luxe Valentine package for love birds this February. 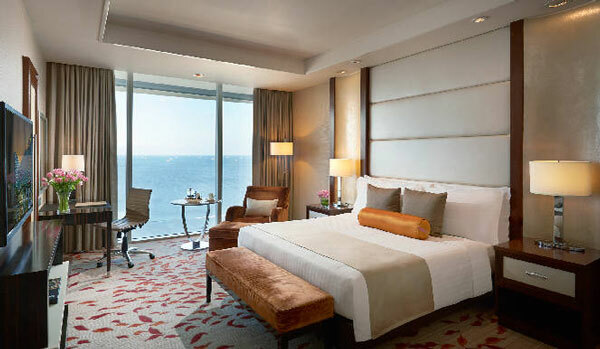 The package comes with an overnight stay at their Deluxe Bay View or Sky Studio rooms, a buffet breakfast for two adults and two kids (6 years old and below), and a 45-minute chocolate scrub with 15-minute shoulder, head, and scalp massage for two adults. The guests will also be welcomed with a bottle of Prosecco wine and a box of Pralines. 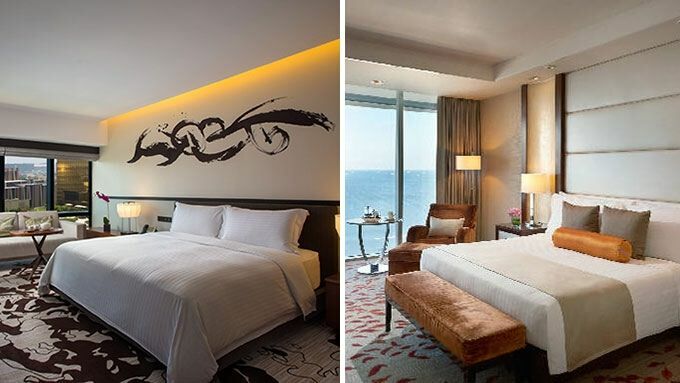 It's priced at PHP18,335 for the deluxe bay view room, and PHP22,835 for the sky studio room. 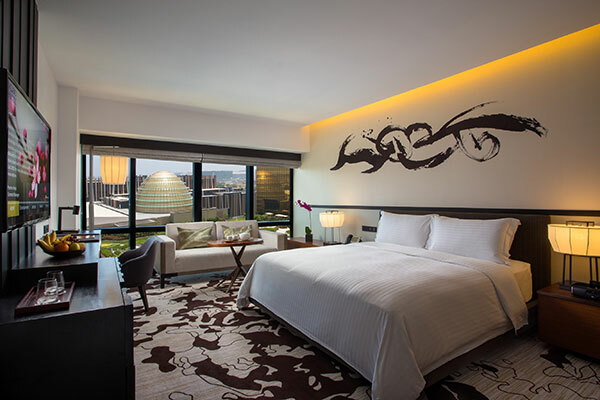 Southerners has Vivere Hotel in Muntinlupa City as an option for their Valentine's Day staycation. 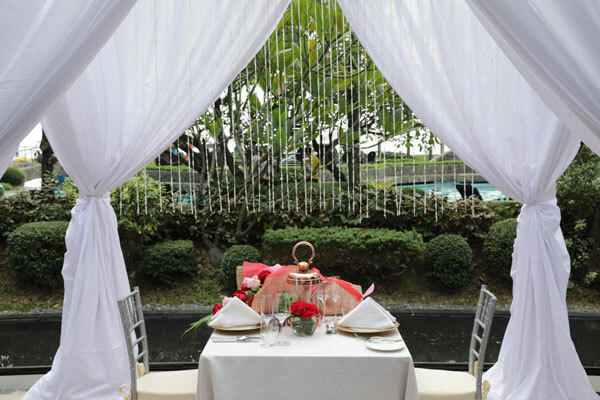 The hotel currently offers their Dream Love package which starts at PHP7,500, for love birds staying this February 14. This package comes with an overnight accommodation in a deluxe room for two, a breakfast buffet for two at The Nest Dining in The Sky, and the Midsummer Night’s Dream Valentine Dinner for two at Picasso. The luxury hotel in Makati offers their A Valentine to Remember package valid for the whole month of February. Escolta, a bottle of wine in the room, and a special Valentine amenity upon arrival. It also includes non-cumulative restaurant dining credits worth PHP3,000 per night that may be availed at all outlets except The Peninsula Boutique. The dining credits can only be consumed for in-room dining from February 14 to 16. The net room rates for the A Valentine to Remember package are as follows: PHP11,000 for superior, PHP12,000 for deluxe, PHP13,000 for grand deluxe, PHP14,000 for club deluxe, PHP15,500 for premier suite, and PHP16,500 for the executive suite. Patrons can also avail of the hotel's special Valentine's Day four-course set menu with a flute of Champagne at Old Manila for PHP4,600 on February 14. No à la carte menu will be served on this day from 6:30 p.m. to 11:30 p.m. The menu is also available on February 13, 15, 16, and 17 with limited à la carte service. You may also avail of the Valentine Brunch with free-flowing Champagne at Escolta for PHP4,300, the Valentine's Afternoon Tea Set at The Lobby for PHP1,250, or an à la carte menu at Spices for a minimum spend of PHP1,300. Ladies who will dine at these establishments on February 14, will receive a Peninsula long-stemmed red rose. 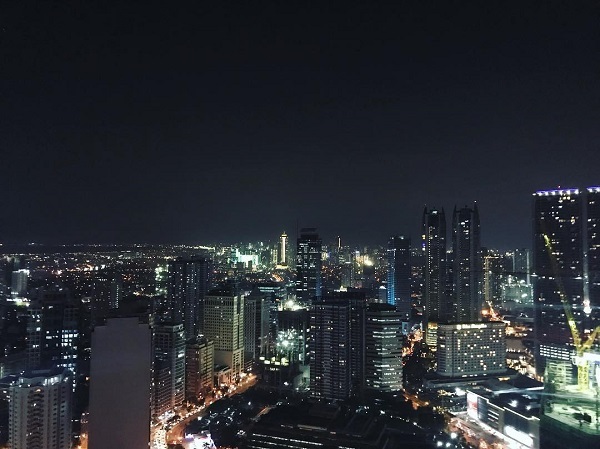 Bring your romantic dinner up a notch with a 360-view of the Ortigas skyline. That's possible with Discovery Suites' Valentine Dinner Date package. The hotel will open the doors to their helipad where you will enjoy a four-course meal, a bottle of wine and a cheese platter, plus complimentary passes to "Drink. Play. Love," an open-bar event at the sky garden. The package, available on February 14 and 15, costs PHP15,000. For PHP20,000, the package will include a one-night stay in a one-bedroom suite with breakfast for two.